The recently-completed Ullapool Harbour berth improvement was one of only four projects to receive a commendation from the Saltire Society and the Institution of Civil Engineers Scotland at a ceremony on 28th October in the National Museum of Scotland. This year, 17 projects were shortlisted for the highly-regarded awards which celebrate outstanding civil engineering achievement, innovation and ingenuity in Scotland. Alongside the overall winner, the Edinburgh Haymarket Station redevelopment, only four entries received commendations. These were the Ullapool Harbour improvements, the new Borders Railway line, the redevelopment of Hampden Park for the Glasgow 2014 Commonwealth Games and a flood alleviation scheme in Inverness. The work at Ullapool was undertaken to accommodate the new Ullapool-Stornoway ferry MV ‘Loch Seaforth’, and was completed on schedule, on budget and with the least possible disruption to the travelling public. A 33-metre extension of the ferry berthing pier, a new high-impact fender system, a new vehicle linkspan and a second-storey extension to the terminal building to accommodate a new passenger access system were designed and installed. To ensure ferry services weren’t disrupted, the pier extension was built as a caisson at Inchgreen dry dock, towed to Ullapool and fitted between ferry arrivals. 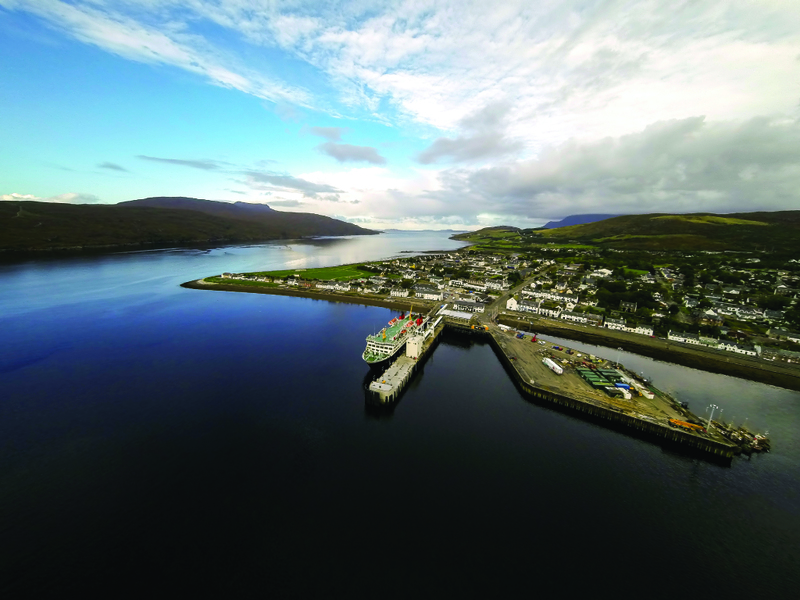 Total costs of £19 million were shared by Ullapool Harbour Trust and Transport Scotland and the entire project was completed in an 18-month period. Ullapool Harbour Trust chief executive officer and harbourmaster Kevin Peach expressed his delight at the commendation, commenting: “This was the largest ever construction project at Ullapool Harbour and we faced considerable logistic and technical challenges.